Knowing your resources is a key asset for leadership success. To better inform student leaders of the online tools that can increase their efficiency and productivity, we decided to share 10 of our favorite websites that student leaders can use to transform their student led group. Deciding which websites to add is a daunting task because there seems to be sites for absolutely everything these days. Just think, the amount of web pages, social media sites, news sources, research databases, and the like have now reached over 270 million and the figure grows daily. Our list includes some web pages that are common place, but we hope to provide some useful information about them to better your understanding of ways to utilize them more effectively for your organization. Beyond the sites that you already know, we have added links to sites that are not so common today, but will make major headlines tomorrow. Our selections reflect high caliber resources that increase productivity and eliminate barriers to to success. Obviously Facebook, the most popular social media site in the English Speaking world, makes the list. Facebook is an amazing tool for releasing promotional materials, connecting with the student body, and distributing information. For student leaders, it is a key tool in reaching the student body. Just think, Facebook was initially designed to be a tool for Ivy league college students to group together and share information, therefore it is inherently designed to be implemented by student organizations. Search for students by school, friend them, and they are now connected to your organization’s network! Makes for easy, simple, and free promotion. FB makes it easy to generate printer friendly guest lists for your event from all RSVPs. 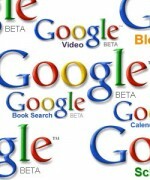 Google is much, much, much more than a search engine. It has transformed into the most comprehensive tool for student leaders to use. Of course there are rival search engines with Bing and Yahoo, but the competition fails to offer the value that Google now offers. Besides the search engine, Gmail is Google’s email platform that is the second most common functional component used on Google. We highly recommend you sign up for an account to be able to better access Google’s other phenomenal functions. If you are studying or writing a report and cannot – or choose not to – utilize Jstor or other college research journal databases, Google Scholar is the answer. If you are working on homework for a foreign language course check out Google Translate. Want the latest news stories? You have two options with Google, first Google News is a search engine database of latest local, regional, national, and global news from all media outlets. Second, for those of us that like to have news on certain issues, key words, or from certain blogs, we can create are own news feed using Google Reader. Finally, an easy way to share your digital documents, presentations, and forms is Google Docs. Stay on time, send invitations, and share your schedule utilizing Google Calendar which is compatible with any Apple, Windows, or Android based mobile devise. Academic Earth is an amazing site for the intellectual in all of us. This site is devoted to aggregating video lectures from big name Universities and Colleges including Harvard, Yale, MIT, Berkley, University of Michigan, Princeton, and the like. Whether you are interested in stock market simulations from MIT, the psychology of being a baby from Yale, or understanding computers and the internet from Harvard, you can find it here. In fact, the site now offers online courses for credits in certain subjects. Who would have thought you could receive Ivy league credit from the comfort of your living room. Chegg is a great site that allows students to rent college textbooks for a semester. Books are rented at a deep discount and are mailed with complete instructions, return envelope with postage, and information about returning the text at the end of the semester. Discounts are usually 1/4 of the retail purchase price. It’s an easy site to navigate, order the book you need, and save money. What happens if you drop your course and still have a few months left on the book rental? Return it within 21 days for a full refund less shipping costs and a $5.00 handling fee. Easy, convenient and now features a great mobile app. Get the book you need for a fraction of the retail cost. Picnik is a great photo editing tool that anyone can use to make high quality photo enhancements. Picnik is a free service, but for as little as $25.00 per year you can get access to the premium addition which features a whole new set of photo editing tools. From our experience, the small fee is well worth the investment for such a powerful browser based platform that is comparable to expensive editing software like Adobe Photoshop. We definitely recommend you give picnik a test drive. Imagine being able to sync your desktop PC files with your Apple laptop and your mobile device without cords, thumb drives, or DVDs. Dropbox is a must use site for all college students. Dropbox allows users to save up to 2GBs of files in any format including documents, pictures, audio, and video files. It is simple and easy to share documents with others too. If you don’t have your computer with you, you can easily jump on their website and grab the files you need from their online storage. Highly recommended. As student leaders, you will be holding events on campus. The best was to publicize your event is word of mouth, digital media on social networking sites, and on your campus’ internal network. Now your group can develop amazing media with a few pics, a little bit of music, and if possible a few video files. Animoto is a top rated program with the ability to make anybody a marketing genius. Not to mention, use animoto in the classroom and you will impress. Animoto does have a premium membership for a fee, but it is free to educational facilities. Utilize your campus staff and faculty to create an account and you may be able to utilize the service with all the perks for FREE! Glogster allows users to create digital posters with pics, added content, graphics, and embedded videos. This takes content creation in the classroom to an entire new level and is the ultimate source for easy to create promotional posters for your organizations, voting campaigns, and events. Easy to embed on websites and to share via FB and other social media, Glogster is the way of the future. Join up and check out how developing posters have changed since grade school. iPlan Magazine is the premier resource for student leaders at colleges and universities across the nation. Information on college news, leadership development, parliamentary procedure, Greek life, student activities, event planning, and more can be found on the site. The iPlan site offers an interactive forum to discuss leadership topics concerning student organizations. An archive of articles from previous iPlan magazines as well as links to several social media networks are accessible on the site. If your a student leader, bookmark the iPlan – it is the site for you.